We invite you this Lenten season to join us on a shared journey of self-reflection. We will ask ourselves to listen, to observe, to be open-minded and open-hearted, to be curious, to see another angle, and to ask difficult questions. We seek to deepen our inner relationship with God and find ways to express that relationship in the world. We want you to view this Lent as an opportunity to grow in your faith. Each day, for 40 days, we will share prompts intended to both challenge and inspire you to reflection, prayer, and action. We invite you to share your reflections and discoveries along the way on social media by tagging the Diocese of Atlanta (@episcopalatl) and using the hashtag #growforlent. We invite you to the keeping of a Holy Lent. 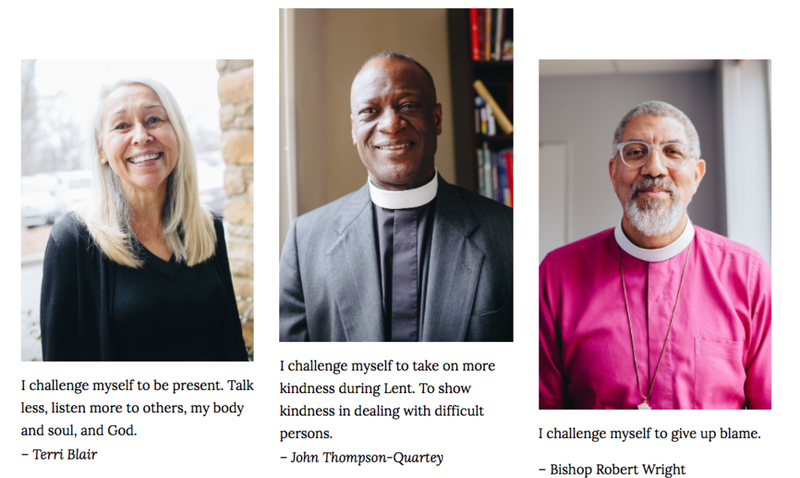 Read how people in our diocese are living in Lent and challenging themselves to love like Jesus.